Above: Designer Diane Foreman's award-winning bath is a master class in Universal Design technique. 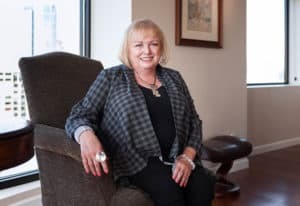 Above: Seattle Designer Diane Foreman has won numerous design awards over the years, including a National Kitchen and Bath Association (NKBA) award for Universal Design in 2016. Your home is a tool, an element that you operate with and within in order to live a comfortable, happy life. But that movement, the physical relationship you share with it, changes over time as you age or as life — broken bones, ailments and disabilities — just happens. So how do you ensure your home works with you when life changes? With Universal Design. Universal Design refers to the concept of designing a home that accommodates the largest number of people, no matter their age, size or disabilities. Though the concept is popular with 55+ homeowners, the conversations and planning should start early. Above: Foreman’s bath design includes a walk-in shower, benches, and grab bars to prevent falls. It’s hard to replace great neighbors. Or your favorite cafe around the corner. Moving versus remodeling your home is a big decision, and one that’s factored into Universal Design. More often than not, homeowners make modifications all at once in their current home as opposed to moving, or doing a series of simple changes over the years. – Why are you doing this project? – What are your concerns? – What health or mobility issues are you having or have the potential to have? – What is your activity level? 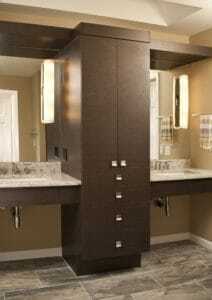 Above: Accessible storage is a key aspect of Universal Design. There is a laundry list of home improvements, materials and design choices you can make to ensure your home is accessible. 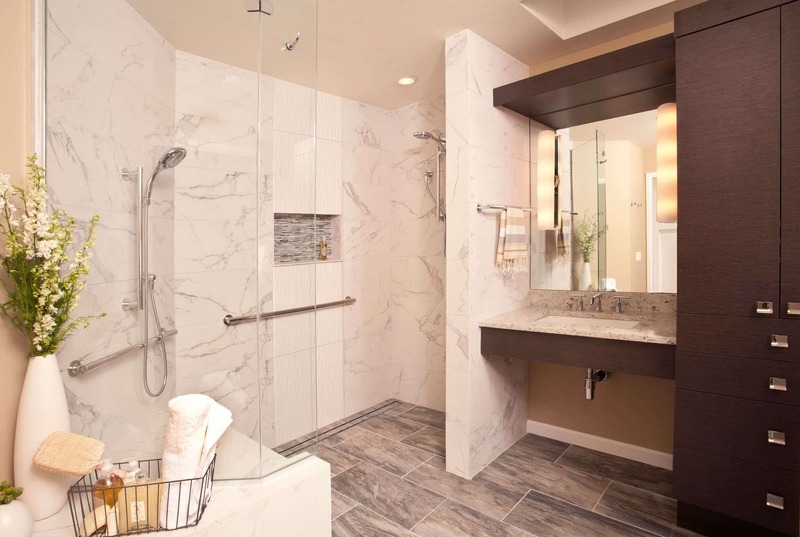 Minor home improvements might include adding grab bars, portable benches, wall-mounted folding seats and more in bathrooms. Hallways can be affixed with sensor lights and appliances can feature modifications for those with visual and auditory impairments. Major improvements include adding wheelchair accessibility throughout the home, which may require widening entrances, hallways and more. Making a home accessible doesn’t mean compromising on style. Updates can be made to reflect a clean, contemporary style without feeling sterile. Ideally, choose products that will last a long time and contrasting materials that will help you determine the edge of countertops, curbs and more to aid in depth perception. Need help transforming your home? 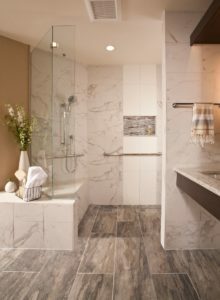 Neil Kelly’s design/build remodel team will adapt your space to ensure it meets the needs of those who are aging or living with a physical disability. Schedule your consultation today. ← Will Your Home Be Ready When Winter Weather Arrives?